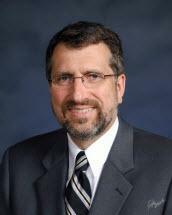 Adrian Sulser specializes in appellate and significant research efforts for the firm. With more than thirty years of experience in appellate practice, he has briefed and argued cases before all Missouri Courts of Appeal, the Missouri Supreme Court and the Eighth Circuit Court of Appeals. His experience also includes handling coverage matters and substantive motions. Adrian authored Chapter 10 "Settlement on Appeal" of Settling Cases (Mo. Bar CLE 2014).